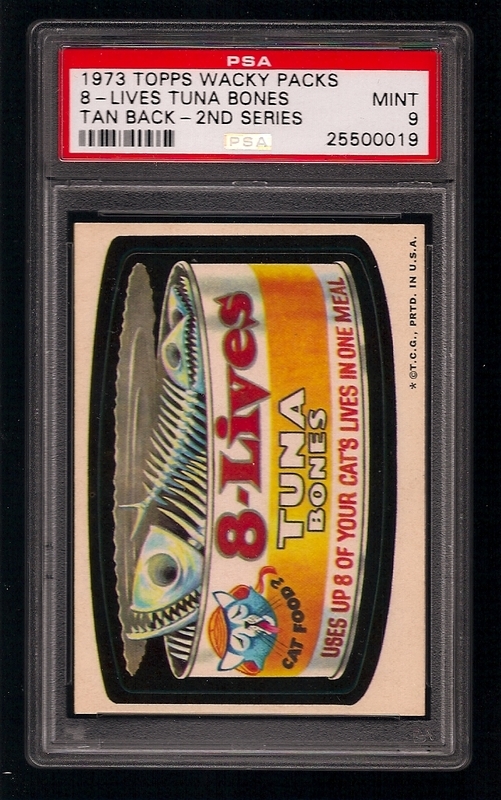 Welcome to the Wacky Packages Forum PSA Archive! 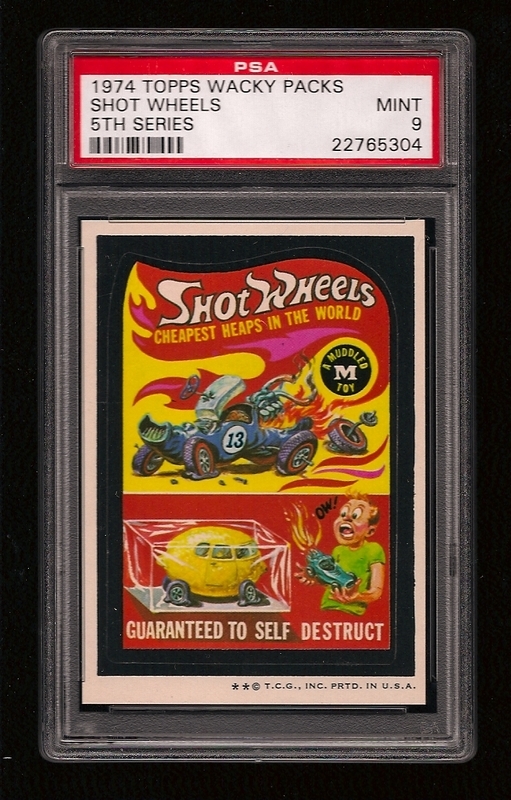 This is for PSA collectors who don't want to bother with the Set Registry and want to show off their graded cards. I will likely post something separate for when I get something good, then add it to a post reflecting what series and which ones I own. When you get cards graded, or you score something big, post them here in the WP Forum PSA Archive! Not to be a downer, but it's possible this Archive won't be around for a real long time. Using postimg from this board, in my experience, means your images are not kept forever. I've had some uploaded images expire and disappear from my posts. Just a warning...I could be wrong. As I've said before, that sticker is truly a wonder to behold. Are the images stored within your postimage account? I'm still an advocate of just uploading the pics to your personal account and using a direct link. Are the images stored within your postimage account? No, uploaded directly to postimg from the board [Add image to post link]. How else do you upload them? You can create your own postimage account, and then use links to post the images here. postimage.org claims they never remove or deactivate images from message boards using their service, but clearly we have lost many here. Does creating your own account get around that issue? *Statistics as of August 9, 2017. Thank God 5th series glossies are common, at least toning isn't so much of a worry with this series. Wish I could say the same about the 4th! Not even sure if I own any glossy 4ths to be quite honest. Gonna have to check that. 6th glossies are the rarest. 4ths are uncommon enough that it's petty hard to find them in high grade. I don't think Bum and Choke exist in glossy form, suggesting glossies were introduced after they were pulled. Oh I believe I have a few 6th glossies. That Shot Wheels is indeed a beauty. I wonder if that is the case for tan back Gadzooka's? I mean they mislabeled most likely all of them if you think about it. There is no difference. Same with Tied, except I believe there are less of those graded. Absolutely, I would guess probably 95+ % of all graded tan Gadzookas and Tieds are wonder breads. I'll expand upon a different card which is even harder to find not miscut than Shot Wheels. The culprit's name is Jerky Fruits. If you haven't noticed, a Jerky Fruits NM-MT 8 showed up on ebay. I might show a scan of my keeper so far but it is of course miscut. Not as awful as most, but still bad. What does everyone think this will go for? I know this is likely a sought after title in 8 simply for the people who strive to get the highest registry grades under their name. (It is actually owned by PSA User: Ghosts1157.) But is it really worth $375? There is one higher graded Jerky Fruits, actually. I agree that's a very tough title. Maybe you realize this, but the eBay seller and Ghosts1157 are one and the same. Like 70topcat, he is just putting some of his tough cards up for sale at very high prices, being willing to let them go if someone bites. I don't see this as a terribly attractive 8, but you never know if the right buyer comes along. Here's my Jerkyfruits and you'll see why I'm not too bent on finding a good one. Not completely sure about that strategy. EDIT: I fixed it by re-posting the link in case it happens again to any of the pictures. I don't understand what you mean. What caused the image to be lost? I phrased that wrong. I posted the images using your strategy for it and the Sludge picture disappeared and was covered by a blue square that said the image was removed. The way it is posted now is what I said. Maybe it just needed to be refreshed? I guess so. It was an easy fix, all I did was get rid of the link and add it again. That's probably what happens with most of the photos on the forum. I've never had a picture hosted from my account disappear in four years. If they are uploaded and linked outside my account they do disappear after a certain period. Yeah not sure. I guess I can't say the same? 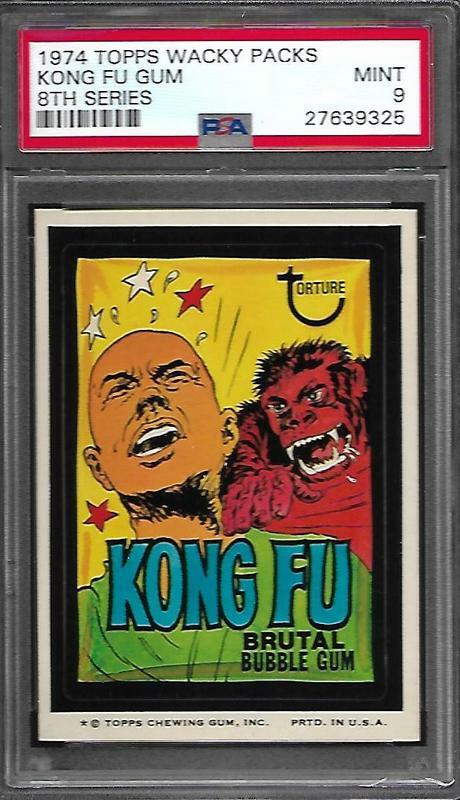 Found something that I don't believe has been on ebay for a while and is a bit underrated on toughness. The SMR price guide indicates this price is too high! What is your opinion? The seller (which is an alternate account of 70topcat) always prices way high and entertains offers. Great! Was it one you got graded or did you buy it from someone else?